By Terence Kawaja . Published on September 03, 2015. "Mad Men" has recently finished its seven-season run, and no TV show has ever captured the hearts and minds of the inner workings of Madison Avenue. Or at least, how it was. Much has changed in the agency world since then, and that change is accelerating with the growing presence of data and software in the mix. This change poses significant, if not existential, strategic challenges to agencies. Let's remember how the current agency holding-company structure came about. First there were large and small creative agencies that specialized in coming up with strategy, copy and art for ad campaigns. Let's call that the "Mad Men" era. Then media agencies were formed in the 1970s and '80s as that became an increasingly important component of the value chain. Finally, in the 1980s and '90s we saw the formation of agency holding companies that aggregated media buying and maintained multiple agency networks to manage client conflicts and manage finances. There are more components like PR, research and other services, but I am simplifying. This was the case for 20-plus years, even as data became more important and digital gained share. What is happening now is extraordinary. Effectively, the agencies are being squeezed from all sides. As more and more media buying is software-driven, ad-tech companies led by Google and including many players across the ecosystem are taking share. Data marketers like Acxiom, Epsilon, Merkle and Neustar are encroaching on campaign spend, and the big tech-services companies like Accenture, IBM, McKinsey, PWC and Deloitte are showing interest in pursuing services in the advertising sector. In addition, publishers of all stripes from AOL, Yahoo, NBC, Hearst, BuzzFeed and Vice are encroaching on creative work as they take on agency-like capabilities and content studios. And let's not forget another major trend toward client-direct. 1. Consolidate. We saw with the recent failure of Omnicom/Publicis that holding-company mergers are hard. Certainly some quality independent agencies like Droga5, Weiden & Kennedy and Horizon are attractive targets, but consolidation on a large scale doesn't seem to answer the problem. While consolidation makes sense for financial and strategic reasons, it still doesn't solve the encroachment issue. 2. Acquire technology. We say acquire as opposed to build technology, based on the recognition of the difficulty of developing technology from within an agency, due to the lack of tech talent. Even if competent technologists are hired, it's not in the institutional DNA of the agency world. Then there's the problem of obsolescence, which is hard enough for a standalone technology company, let alone an in-house solution. Some holding companies have made strategic moves, such as WPP's acquisition of 24/7 (now Xaxis) and Medialets, as well as investments in AppNexus, and less so Publicis, which bought Run. But the jury's still out. 3. Acquire data marketing. This seems like the inevitable future of agencies. Data is the lifeblood of advertising, as it provides the connective tissue that ties everything from planning to buying to attribution together. We like data marketing as a strategy for agencies, and WPP has made some moves in this arena, acquiring significant equity stakes in Rentrak and ComScore that look promising. In a world where Google and Facebook have so much data of their own, this strategy may be necessary for agencies to compete. 4. Acquire services. After technology and data, an agency's other alternative is to acquire tech services. Instead of producing the creative for marketing campaigns, tech-services firms advise companies with implementation and strategy. Buying tech services is akin to buying a new competency, and with that a stronger value proposition. We believe that acquiring tech services is a viable extension strategy, and Publicis' acquisition of Sapient is indicative of that. 5. Become strategy and systems integrator for all. While agencies fight for relevancy in the increasingly competitive marketing landscape, they may find that the only path toward survival is to be the bridge that connects every touchpoint for the marketer. For this to work, agencies need to be technology- and data-adept to add real value to the marketer by coalescing what will likely continue to be a fragmented ecosystem. By way of example, we do not believe that the agency trading desks have sufficient value to warrant a seat at the table long-term. If none of these five options pan out, what happens to the ad agency? One could imagine a digital world where the media agency loses its relevance and vanishes, in which case there won't be a need for the holding-company structure. What's left would be only the creative agency. It's back to "Mad Men." 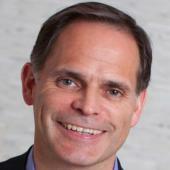 Terence Kawaja is founder and CEO of Luma Partners, a strategic advisory firm focused on digital media. He also had a small walk-on role in "Mad Men" in Episode 2 of Season 7.